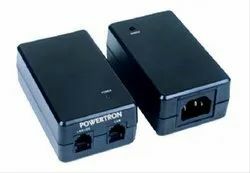 POWERTRON offers POE Gigabit Switch from 1port to 10port with 10/100BaseT & 10/1000BaseT.We provide Gigabit Desktop/Rack mountable Switch with all 1 to 10 ports supporting the PoE+ standard. It provides a simple way to expand a wired network by transferring power and data over a single Ethernet Cable. The PIPL-10PGPOE is an 10-Port Gigabit Desktop/Rack mountable Switch with all 8 ports supporting the PoE+ standard. It provides a simple way to expand a wired network by transferring power and data over a single Ethernet Cable. Short Ckt, HV prot., Over Load.